Whenever we want to download any Android app or game, the initial name which strikes in our mind is Google Play Store. But there are plenty of apps which don’t exist on the official store. Also, we can’t access premium apps for free from the Google Play Store. Don’t worry folks, every problem comes with a solution and here is also a solution to these hurdles. Tons of Google Play Store Alternatives available to download Android Apk Apps and paid apps for free. The substitute stores of the official store not only contains a vast variety of Android apps but also enables you to download mod versions of genuine apps like GB Whatsapp, Subway surfers mod apk, Clash of Clans apk and many more. 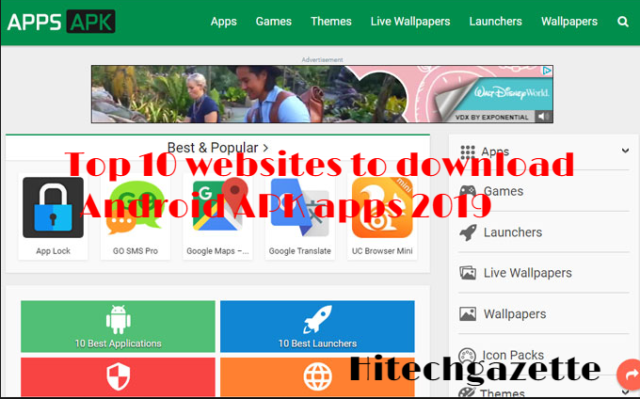 If you want to find out the top 10 websites to download Android Apk apps 2019 then you have clicked on the right page. Here I will suggest you the best look-alike stores of Google play Stores to download the apps in Apk format. If you want to download free apps then Apkmirror is the best stores for you. Here you can find only free apps. All the apps which exist on the site is totally free from any kind of malware or virus. Apps are categorized on the basis of date and popularity so it is quite simple to find out the best app for you. One of the foremost features of the store is it’s easy to use interface. When you look at Aptoide then you will observe that it is the clone of the official Android store. Aptoide boasts over 600000 apps and got 3 Million downloads. You can assume its popularity that it has been utilized by more than 150 Million users after its launch. 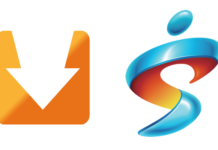 Different versions of the Aptoide available such as Aptoide app for Smartphones, Aptoide TV, Aptoide VR, and Aptoide kids. The easy to use interface makes it the perfect rival of the official store. Let’s discuss one of the best sites to download Android ap apps for free, Androidfreeware. The free stores posses over 1500 Apk apps to download so you don’t need to spend your hard earned bucks to download your desired apps. Getjar is one of the oldest apps stores which is compatible with different operating systems like Android, Windows, Symbian etc. You will amaze to know that the store has more than 800000 apps and games to download and all the apps are divided into categories and sub-categories. Ease of use makes the store is the perfect alternatives of the Google play store. If you are searching for a store which enables you to download Premium apps without spending a single penny then Appbrain is the perfect destination for you. Actually, developers of the apps offer all the paid apps for free on Appbrain for a short period. When things come in terms of Apk apps then you can forget 9apps store the perfect place to download a wide array of android apk apps. The store contains a huge collection of premium apps and games to access for free. You can download any game, wallpapers, ringtones and much more from the vast collection of 9Apps store. Easy to use interface and virus free apps make the store is the best look-alike store of Google Play store. Another site listed in our best sites to download apk apps is Apps Apk which empowers you to download your favorite app in the Apk format. Not only apk apps you can download themes, wallpapers, games and lots more from Apps apk. All the stuff available on Apps apk is divided into categories so you can easily find which you want to download. If you are in search of that store which contains all the latest apps for free then Mobogenie is the perfect marketplace to download the newest Android apk apps without spending a single penny. Comes with plenty of apps and games to choose from and if you don’t find any particular app on other stores then must visit Mobogenie market for the same. Another ideal marketplace to download Android apk is Apkoffice, contains plenty of Android apps and games to download for free. All the stuff available on Apkoffice regularly updated so you get all the fresh content. Apkoffice also offers Google play publishers to publish their apps on its platform. Last but not least, let’s talk with our another site which offers you a wide variety of apk apps and games to download without any registration.If you want to get all the premium and paid apps for free then visit Blackmart to download their Apk format. Well, folks, above I have mentioned top 10 websites to download Android apk apps. All the sites have their own specifications and you can choose according to your need. Hope now you will successfully find out the best store to download premium apps for free. If you find the post informative then share with your nears and dears. Still, any query regarding these sites then let me know in the comment section and if you want to share your experiences about any site then feel free to share. Stay in touch for more exciting updates.